Our team is equipped to offer part-time, off-site administrative support. Our team members work in our offices. That means that you don’t have to worry about supplying employees with office space or office equipment. We even train all team members so you get administrative support that’s ready to hit the ground running and will make an immediate impact in the day-to-day operations of your business. Here’s the best part, the team is led by a business strategist. That means when your support team member has a question, they first reach out to the business strategist to solve the issues rather than calling you. We realize that you are not an expert in administrative functions, nor should you be. We take every measure to operate tasks independently. 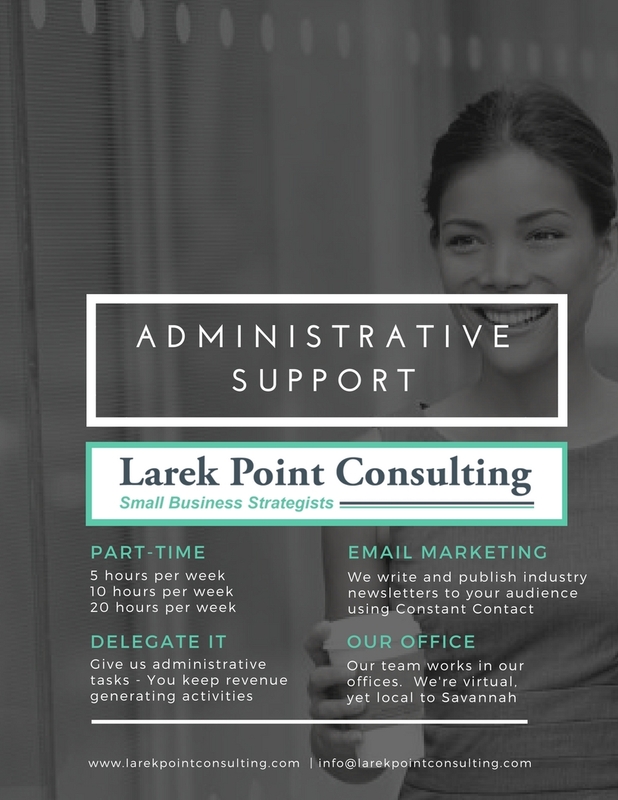 Administrative Support: Our team is comprised of administrative professionals who love the details! Duties range from basic data entry, calendar maintenance/scheduling, email management, managing contact lists, updating CRM entries, document formatting, addressing/stuffing mailers, supply ordering to vendor/supplier management. Email Marketing: We are a Constant Contact partner and two time All-Star winner; meaning that our e-mail marketing campaigns ranked within the top 10% of email marketers globally. Let our team manage your distibution lists, create an impactful e-mail marketing schedule and develop client attractive content that converts your audience into paying customers.